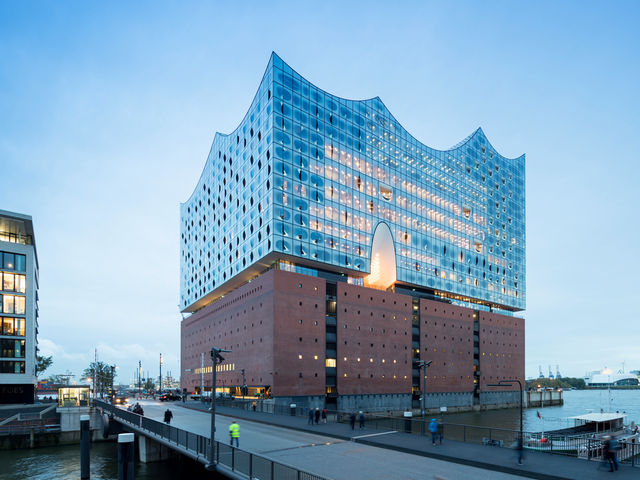 The landmark, modernist Elbphilharmonie, designed by 'starchitects' Herzog & deMeuron, has opened its doors at last this month. 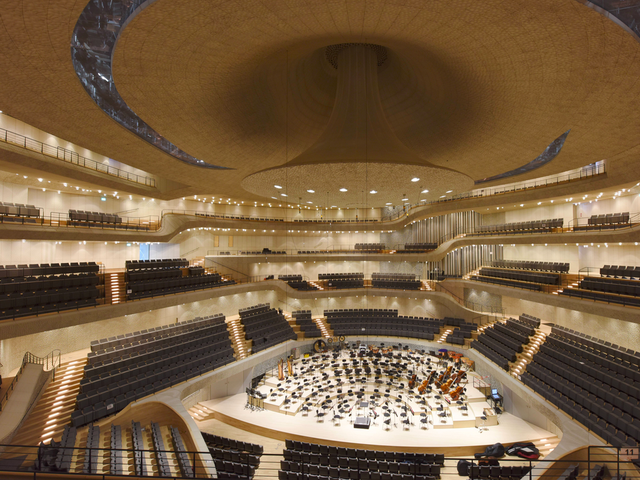 The complex adds three world-class concert halls, a hotel, and a public area with a panoramic view to the city famously associated with the music of Mahler, Brahms and the Beatles. 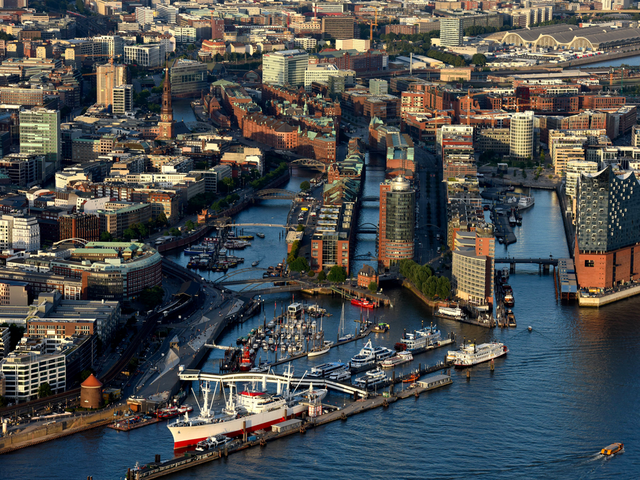 Hamburg is Europe's second largest port. It handles large, ocean-going ships, so it's considered a seaport, even though it's nearly 70 miles (110 km) inland from the North Sea on the Elbe River at its confluence with 2 other rivers. 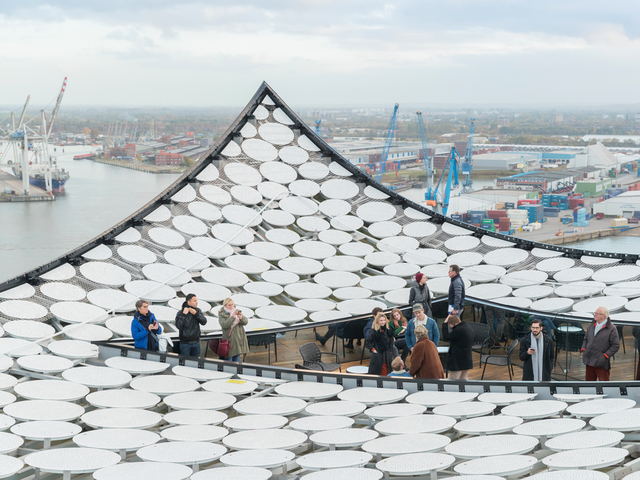 The renowned Swiss architecture firm Herzog & deMeuron designed the exciting structure to perch on top of a brick warehouse that used to store tea, tobacco and cocoa arriving from abroad. 1700 reinforced concrete piles support the modernist, glass structure, whose wave-like roofline rises above the water of the port that surrounds it on three sides. 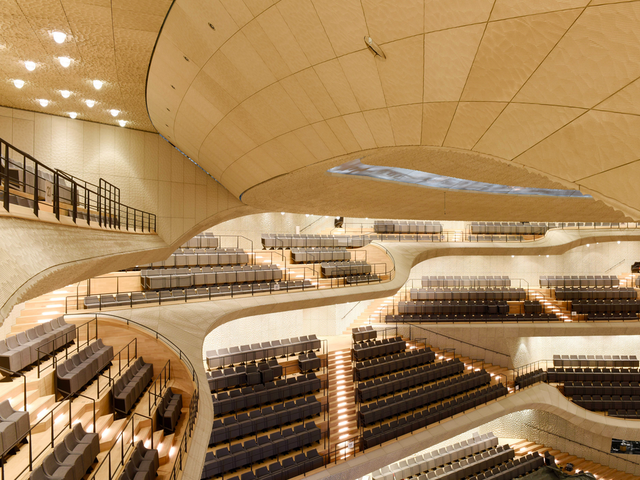 In addition to the one-of-a-kind Grand Hall, the complex includes the acoustically outstanding, wood paneled Recital Hall and The 'Kaistudios', the Elbphilharmonie’s interactive music education area for people of all ages. 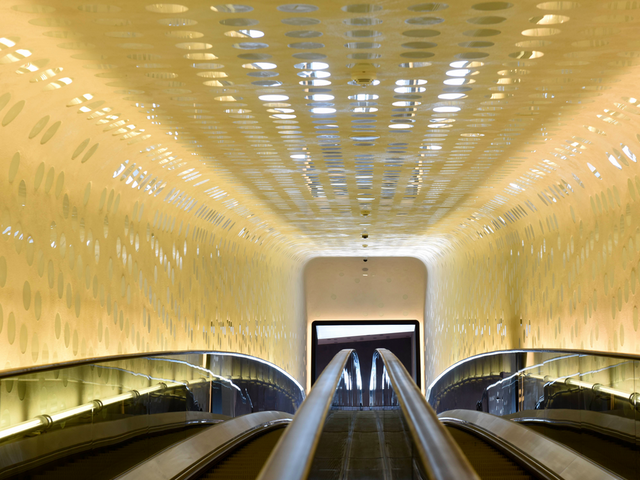 The 'Kaistudios' are also home to the new 'Elbphilharmonie World of Instruments': diverse workshops in which children and adults can try out instruments from all over the world.